Colorfully Yours specializes in providing children with high quality fire safety coloring books and other products. Fire education is a key aspect for children across America. With our coloring books, fire safety awareness is a cinch. Our distribution center is located in New York, but we distribute nationwide. So, no matter where you are located, we can be your provider for fire safety products of all kinds. Fire safety information saves lives. Whether it is in your home, at work, or at school, the dangers of fire exists. Basic fire safety can keep your home and family safe before fires even start. The fire safety coloring books we provide are a great tool for education. All of our books have been written and hand-drawn by owner Deborah Lindner. Once the books are created, we print them in beautiful digital color instead of newspaper inside pages like most of our competitors. It is our hope that these books reach a young audience and teaches them the importance of fire safety. At Colorfully Yours, we have a great selection of fire safety products that extend far past our coloring books. 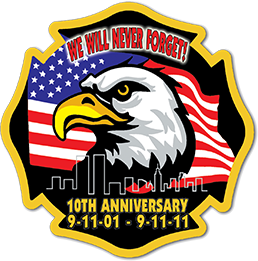 Some of these products include badges, backpacks, bookmarks, buttons, cell phone cases, stickers, puzzles and magnets. We also have quality smoke alarms that can be used in your home. Fire safety products of any kind can go a long way to informing our youth of the dangers of fire. Stay on top of your school or program and get the best fire safety products at great, wholesale pricing. 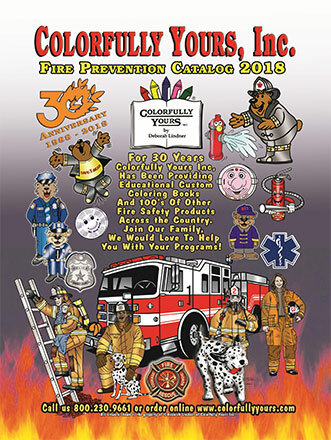 Colorfully Yours has years of experience providing customers across the country with educational fire safety coloring books and other various fire safety awareness products. Keeping kids safe is our ultimate goal and by purchasing our top-of-the-line coloring books, your kids can be on their way to learn about the dangers of fire in a fun and educational way. If you are interested in our fire safety products, please contact us today. You can call us toll free at 1-800-230-9661. We will gladly answer any questions or concerns you may have about all the fire safety products we have to offer. Instill the importance of fire safety for the kids of the next generation!